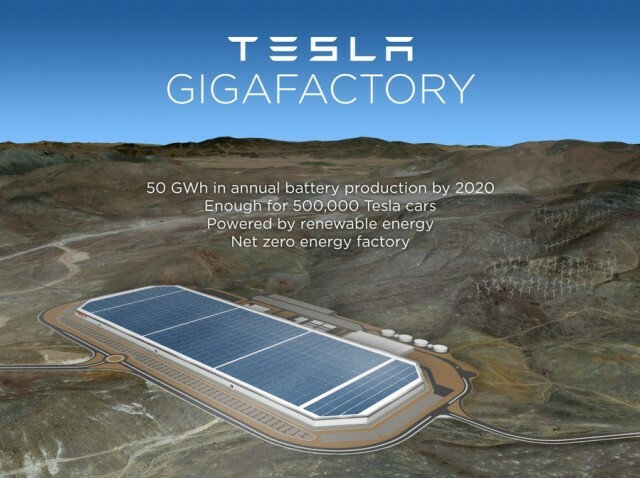 The very word "gigafactory" makes Tesla Motors' lithium-ion cell fabrication and battery assembly plant sound quite large. 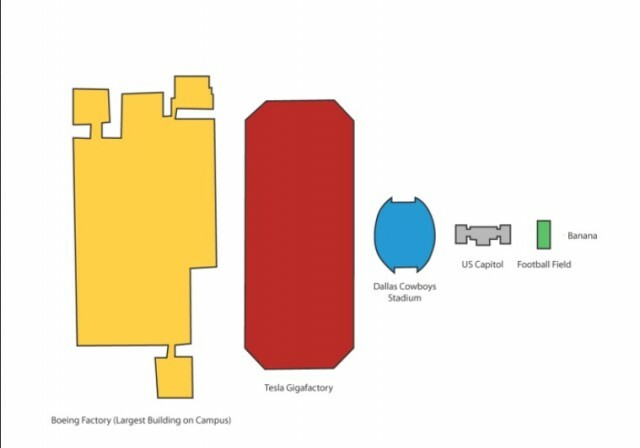 Context is provided by diagrams that compare its planned footprint to, say, the largest building for assembling jetliners on Boeing's Washington state campus. Interestingly, it appears to have been created and posted by local boosters grateful for the jobs and opportunity the huge plant is expected to provide. "You are creating jobs and helping to redefine our once-struggling local economy" by building the $5 billion gigafactory, it says in closing.